V N Residence 3, is the 5th project to be completed by the Norwegian Construction Co.,Ltd trading under the Norwegian Properties Group umbrella. This particular developer is synonymous for going the extra mile and this becomes self evident when one takes a closer look at the superior build quality and standard of the fixtures and fittings within their condos, which in most cases are either comparable or in certain circumstances even exceed Western building standards. Interestingly enough this Developer also finds themselves in the restaurant business, as they own the famous Norwegian “Linda’s” restaurant alongside Thappraya Road. Previous projects by this particular developer includes “V N Resort 1 & 2”, which are private multi-story villas centered around a communal pool and garden together with “V N Residence 1” and “V N Residence 2” which were completed back in 2009 and 2012 respectively. Since then the Developer has gone on to build their 6th project “Fifth Avenue” in 2016. V N Residence 3, is a boutique styled apartment complex comprised of just 53 individual apartments ranging in size from entry level 25 square meter studios to 90.50 square meter 2 bedroom apartments spread across a 7 story low-rise condominium building. 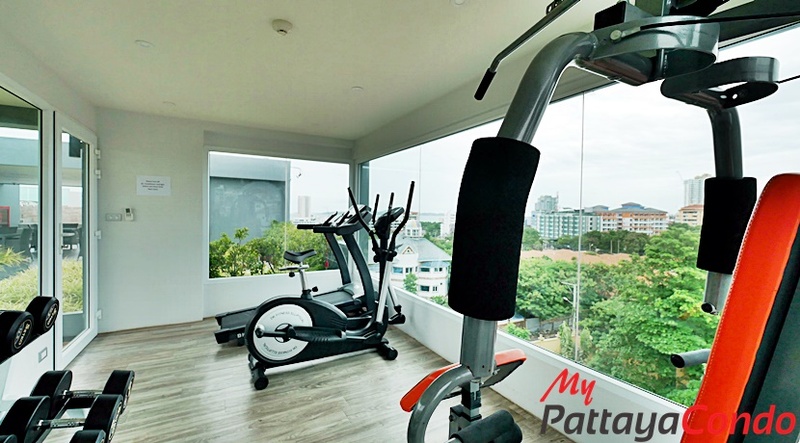 The bulk of the communal amenities such as the communal pool, garden, lounge area and gymnasium are situated on the rooftop, whilst there is car-parking in the basement. 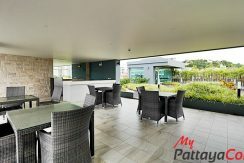 Other amenities include a high-speed passenger lift and ground floor lobby entrance and reception desk together with the more traditional amenities that one normally expects such as 24 Hour security with CCTV cameras. The project is strategically located alongside a quiet Soi just off Soi Pratumnak 6, with both central Pattaya and Jomtien being only a few minutes drive away. In summary if you’re looking for outstanding value for money yet at the same time you’re unwilling to compromise on quality, then in my humble opinion this particular project is most deserving of a closer look. Rooftop gymnasium with Male & Female change-room(s), toilet(s) and shower(s). Under-ground car-park with a key card activated security access door. 24 Hour security with CCTV access. Built in high-gloss white & black laminate kitchen(s) with black granite counter-top(s) together with glass splash back(s) and white composite sink(s), (2 or 4 plate induction hobs and slim-line extractor hoods). Fitted wardrobes with internal shelves, drawers and mirrored sliding doors. Finished bathroom(s) with black granite sink counter-top(s), white laminate under-sink cabinet(s), modern white porcelain wall mounted toilet(s) and vanity mirror(s) together with shower(s) and tempered glass shower enclosures. Ceiling mounted and ducted air-conditioner(s), being 1 in a studio, 2 in a 1 bedroom and 3 in a 2 bedroom apartment with the compressor(s) being mounted off to the side on the building facade and not on the balconies (no heat or noise). High quality white 60cm*60cm ceramic floor tiles throughout the living and sleeping areas. High quality UPVC window and sliding door frames. Private balconies with safety glass balustrades for optimal garden and/or city/ and/or partial sea views. O’Gara’s Irish Pub and Restaurant: 6-Minutes (Walking). Seven-Eleven & FamilyMart convenience stores: 6-Minutes (Walking). V N Residence 3 Condominium was completed in 2015. No. of Units: 53 Units. Maintenance Fee: 44THB Per Square Meter Per Month (Ongoing) Payable 1 Year in Advance.